For weeks now, the Canadian government has argued it is simply following the rule of law in detaining Huawei executive Meng Wanzhou on behalf of the U.S. That position took a serious hit Tuesday, when Canada's ambassador to China, John McCallum, said that Meng has a strong case. For weeks now, the Canadian government has argued it is simply following the rule of law in detaining Huawei executive Meng Wanzhou on behalf of the United States. From the prime minister on down, officials have consistently argued that her extradition case is a judicial matter, free of any political interference. 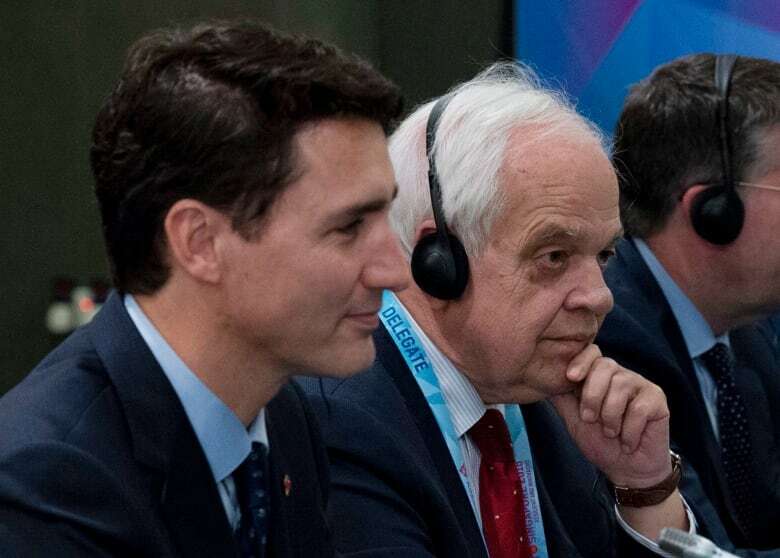 That position took a serious hit Tuesday, when Canada's ambassador to China, John McCallum, told a select group of Chinese media that Meng has a strong case. "I think she has quite good arguments on her side," he told reporters during the news conference in his old political stomping ground of Markham, Ont. He proceeded to rhyme off three reasons why the Americans' attempt to extradite her to face charges of bank fraud to get around U.S. sanctions on Iran will be problematic. First, U.S. President Donald Trump's comment last month that he might intervene in the case if it helped to secure a U.S.-China trade deal. Second, the ambassador argued there was "an extraterritorial aspect to her case" — without explaining how that differs from every other extradition request a foreign government makes of Canada. Finally, he noted Canada hasn't signed on to the U.S. sanctions Meng is accused of trying to avoid. "So I think she has some strong arguments she can make before a judge." For a politician, or in this case a former politician turned diplomat, to comment on a criminal proceeding could well be interpreted as political interference. It's at the top of the no-no list handed to any Canadian official. "He is a former politician turned public servant," said David Mulroney, a former Canadian ambassador to China himself. "You would think that he would be particularly careful to avoid any suggestion that has a continuing political role." McCallum's intervention — made before U.S. officials have even presented their evidence to Canadian justice department lawyers, on a case they will argue before a Canadian judge — served to undermine the Trudeau government's attempts to distance itself from this politically-charged extradition request. 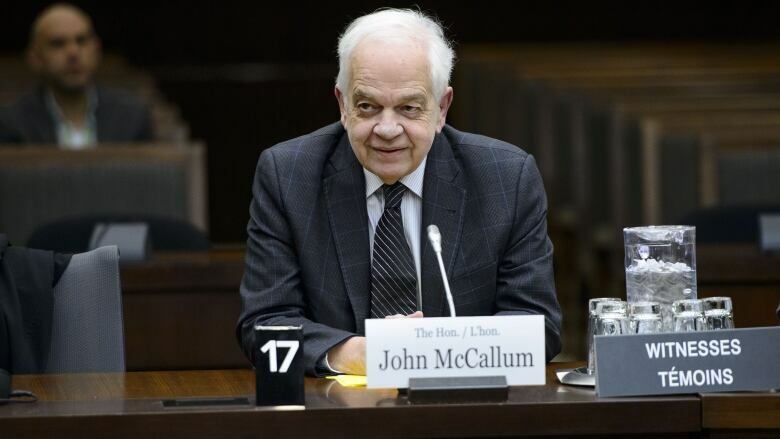 The prime minister was asked — point blank — on Wednesday whether he agreed with McCallum's assertion that Meng has a strong case. "I think part of the strength of our justice system is that people get to mount their own defence and I know she will do that," Trudeau said. "We will ensure, as a government and country, that all the rules and independence of our justice system is properly defended and properly supported." The prime minister, it must be noted, didn't really answer the question. Global Affairs spokesperson Adam Austen was equally circumspect when responding to an emailed question of whether McCallum's comments reflected the Canadian government's position before it presents the U.S. evidence to support Meng's extradition to the States. "With respect to Meng Wanzhou, Huawei's chief financial officer, Canada is conducting a fair, unbiased and transparent legal proceeding," he replied. "There has been no political involvement in this process." Whatever McCallum's intentions might have been, Mulroney said his statements "undercut important messages that the government has been trying to deliver about our commitment to due process and rule of law." For defence lawyer Donald Bayne, there's more than a little irony to Canada's claim to be following the rule of law. Bayne represented Hassan Diab, the Ottawa university lecturer who was extradited to France in connection with a 1980 synagogue bombing even though there was evidence he wasn't even in the country at the time. Diab spent three years in prison before the French released him without any charges, leading Canada to initiate an external review into the whole affair. "We are now at a point in this defective Canadian extradition process ... of Canadians being detained and a Canadian being sentenced to death when we have this unhappy extradition procedure which turns judges into rubber stamps." Bayne is convinced a Canadian judge will ignore McCallum's comment whenever the case is presented. He's equally convinced Trump's suggestion that he might swap Meng if it helps to get a trade deal will lead her lawyer to challenge the extradition as politically motivated. But Bayne also sees the political messaging. "I can imagine that Canadian political authorities are desperate to try and signal that we would be better off if this woman was returned to China, particularly given Trump's inappropriate involvement," he said in an interview on the Wednesday podcast edition of CBC Radio's The House. "That's the irony. This is a law that is a backwater in Canada, that is aggressively pursued and does not protect Canadians — and yet in this case Canada has every interest in losing it as quickly as we can." Of course, no one in government is suggesting that — on or off the record. Still, McCallum's assessment of Meng's case will certainly be seen in China and the U.S. Will the Chinese interpret it as a signal that Canada intends to deny the extradition request? And if that happens, how will the Trump Administration react? Following the rule of law, it seems, may well lead to the law of unintended consequences.